The invitation to to join CELADON signals an important further advancement of the university’s engagement in France, building on a collaboration between Flinders and global defence giant Thales (an industry member of CELADON) that was announced during President Emmanuel Macron's visit to Australia in May. As part of its membership of CELADON, Flinders researchers and students will have the opportunity to undertake sea trials with unique infrastructure in the area of autonomous surface and underwater vehicles, and help develop future marine technologies in research projects with other CELADON members. Projects being explored include Flinders researchers and students monitoring projects involving autonomous marine vessels in the Bay of Brest from Australia. Flinders’ participation in CELADON reinforces the university's growing international reputation in the field of autonomous maritime vessels. By joining leading academic and industry partners in Brest, Flinders underlines its participation and commitment to the South Australia-Brittany sister region agreement. Flinders University president and vice-chancellor Professor Colin Stirling signed the new CELADON opportunity in Brest this week. He was also able to witness a range of CELADON sea trials, along with the Flinders Centre for Maritime Engineering, Control and Imaging’s director, associate professor Karl Sammut, and Flinders defence partnerships director Tony Kyriacou. 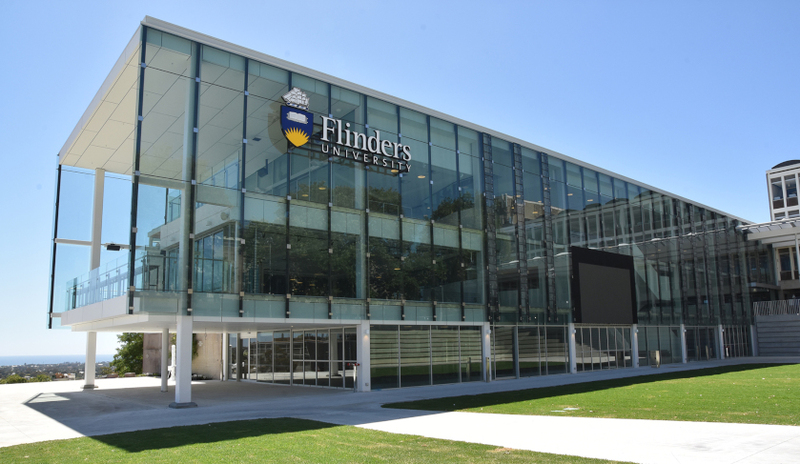 "Flinders is proud to be joining leading French industry and academic institutions in such an exciting field of future technology, this demonstrates the international focus of our university and is an excellent example of collaboration that is taking place at Flinders with major defence players around the world," said Professor Stirling. The new affiliation provides for some unique opportunities for Flinders University students and researchers to be involved in projects in France. Head of CELADON Filipe Bousquet has welcomed Flinders’ participation in CELADON. “On behalf of our members, CELADON warmly welcomes Flinders University to CELADON as our Australian academic partner,” Bousquet said. Flinders University is the first organisation outside of France to be invited to join the important CELADON association, which represents a powerhouse of leading French maritime engineering businesses and academic interests. In addition to Thales, other industrial members are ECA, Alcatel Submarine Networks, Airbus, Sercel, RTsys, Forssea-Robotics and Guinard Energies. Academic members include ISEN, ENSTA, UBO/IUEM, Institut Langevin/ESPCI, IMT Atlantique, and Ecole Navale, with institutional members being IFREMER, Oceanopolis, SHOM and Technopole Brest Iroise. The CELADON association, based in the Brest area and operating Sea Test Base, undertakes sea trials to develop new marine environment technologies, including vessels, pontoons and smart buoys. The CELADON announcement builds on two important recent signings of Australian-French research collaboration on marine technologies, linking Flinders with Centrale Nantes, and with Thales and ENSTA Bretagne (a leading graduate and post-graduate engineering school and research institute in Brest), underlining the strength of close scientific and research collaboration between Australia and France.